Our visitors are returning. Is there any surer sign we’re on the road to recovery? Makes me happy to see them in our convenience stores on the Cape, at the restaurants and businesses in town, and stocking up on groceries at the Pig. Talked to a snowbird this morning visiting for the ninth year straight; he said he and his wife really wanted to come back and support our community as they totally love our area, adding that Port St. Joe is just the perfect example of small town America. Have to agree with him. Also happy to report that apparently others our wanting to be part of our area as we closed one sale and worte up two new contracts; sellers added six new listings and changed prices on six others. 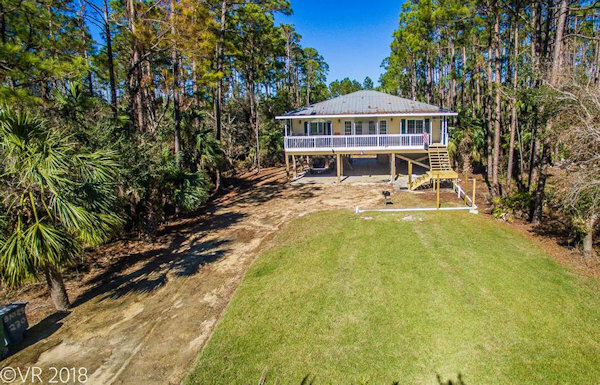 Even with all of that activity our inventory remains unchanged from last week, closing out once again at 234, with 63 houses and 171 lots listed for sale in the Cape San Blas, Indian Pass and C-30 Corridor MLS market. Let’s take a look at what’s moving. The above two photos are of our single sale this week. 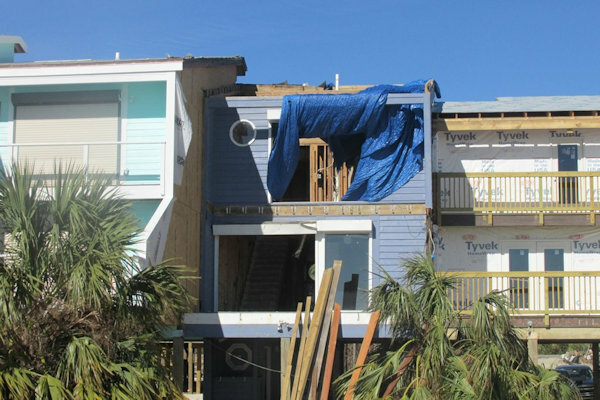 It’s a 2-bedroom, 2-bath, 1200 square foot gulf front townhouse totally redesigned by Hurricane Michael. 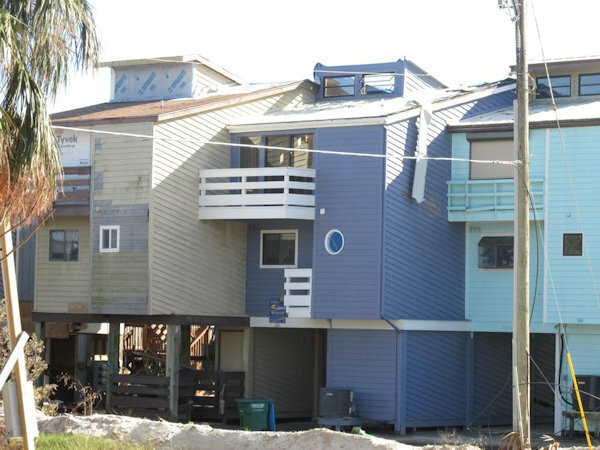 The circa-1984 is at Indian Pass Villas, a townhouse community next to a public beach access on C-30 about half a mile east of Cape San Blas Road. The seller bought it at the end of 2015 for $285,000, listed it on December 22nd for $169,000, had a contract on it exactly one week later, and closed last Friday for $160,000 cash. Now on to our two new contracts starting off with this 4-bedroom, 3/2-bath, 3,400 square foot gulf front home located just a bit north of Scallop Cove. The sellers bought it as a bank-owned sale in mid-2009 for $515,000, and have it listed for $699,000. We’ll head off of the Cape traveling east along C-30 towards the Indian Pass Raw bar stopping at Treasure Shores where this 3-bedroom, 2-bath, 1,469 square foot gulf view home on a little over half an acre on the north side of C-30 went under contract Thursday with a list price of $335,000. The home sustained some damage from Michael, most of which has already been repaired. The seller bought the place in early 2004 for $290,000. And that does it for today. If you’re sitting surrounded by drifting white stuff of the frozen type and daydreaming about drifting white stuff of the sugar white sands variety, I hope you will consider spending some of your vacation time with us. We may still be a little scraped and bruised, but we are definitely back in business and ready to welcome you. 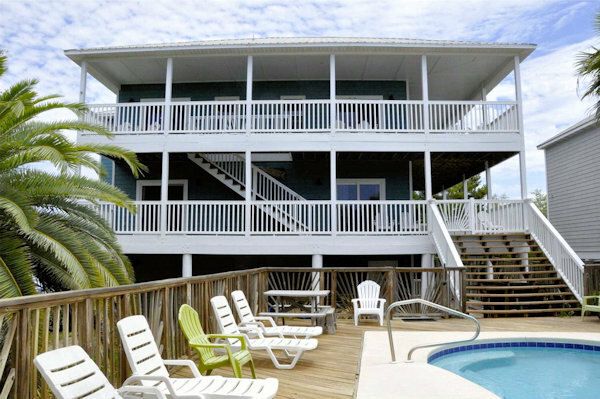 I would encourage you to book early as competition for vacation rental homes is strong. Same goes for sellers and buyers: demand is strong, so if real estate transactions at the beach are part of your New Year resolutions, we need to talk. You can always reach me by calling or texting 850-227-5197 or emailing sherri@sherridodsworth.com. Either way, I hope to hear from you soon, and thank you so much for taking time out of your busy schedule to stop by today. Reminder – if you would like to read this with the links to the various listings, I can only email them to you now with our new MLS which I’ll be glad to do. Just let me know by sending me a request to sherri@sherridodsworth.com and I’ll set you up to receive my blog post with the links each week.